Positive Reinforcement Systems are a critical component to a well run classroom (especially special education classrooms). These scratches are fully editable and can created for individual students or for your entire class. They are easy to make, and are a blast in the classroom! 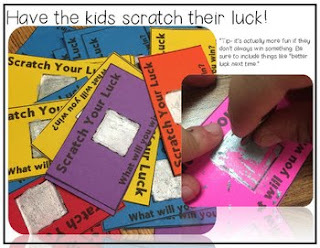 Product includes: how to description and fully editable scratcher cards.